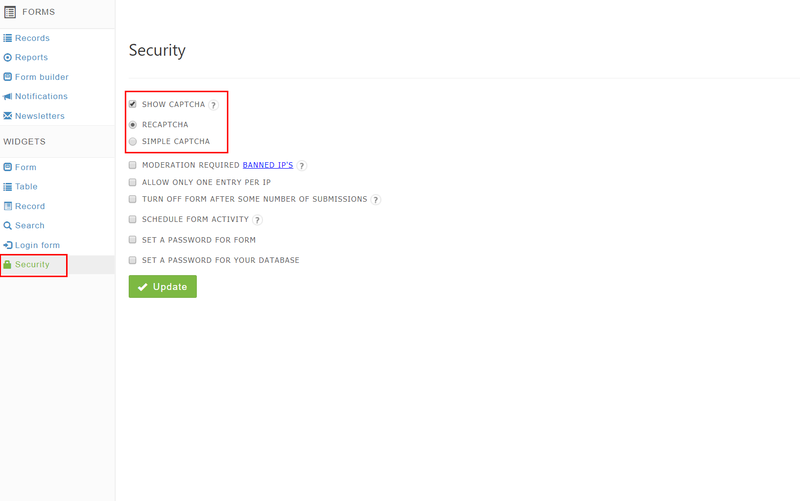 You can enable CAPTCHA in Security menu, in Widgets section. If you fail to enter the captcha or get it wrong and submit the form it is impossible to complete the submission of the form. The error message “Please, enter valid Captcha” is presented and there is no way round the error except exiting the page, rentering it and starting the form fill all over again. This is quite urgent although we have adopted the obvious workround – turning Captcha off for now!